Apps/Swell Foop - GNOME Wiki! 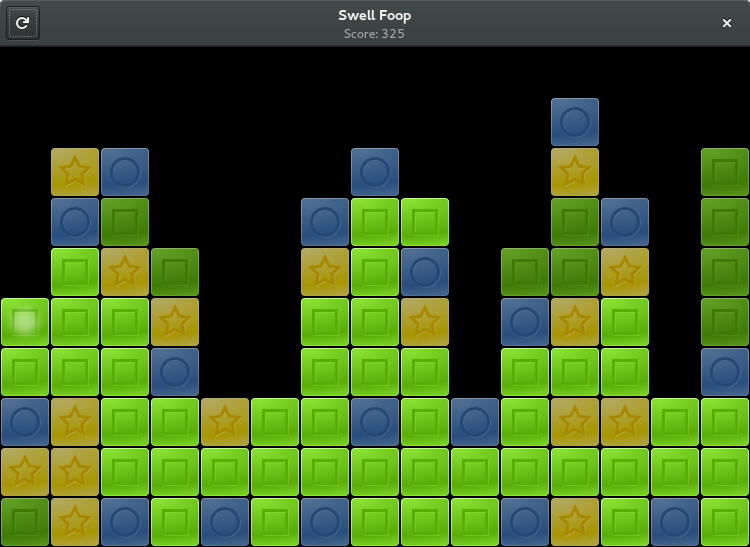 Swell Foop is a puzzle game, previously known as Same GNOME. The goal is to remove the objects in as few moves as possible. Similar objects that are adjacent to each other are removed as a group. The remaining objects then collapse to fill in the gaps and new groups are formed. You cannot remove single objects.